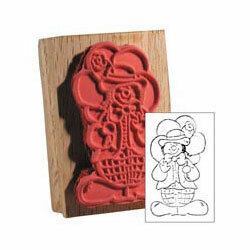 Clown stamp. Ink Stamp to be used for fun art projects. Smiling clown design. Tactile rubber with wood grip. Measures 2 1/4 x 1 1/2 inches.